MHA offers several services and solutions to support their core values of advocacy, communication, education, and public health. Each business below is part of the MHA family and can be trusted to uphold the MHA core values as their own. For questions, please contact MHA directly or visit their websites. A full service brokerage and consulting firm for risk management strategies and solutions. Transparent quality and safety information from hospitals and home care agencies for patients and all healthcare stakeholders. 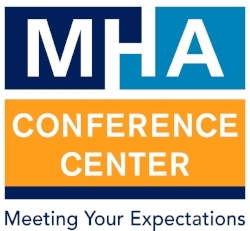 Dedicated staff with state-of-the-art technology in a convenient location are just a few ways MHA Conference Center distinguishes itself from other venues.